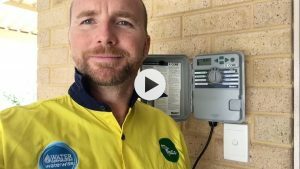 It’s always a bit difficult understanding your new reticulation controller, and how to program it for your watering requirements. The attached link shows you how to program a Hunter X-Core controller, Presently they are one of the most popular Retic Controllers in Perth. In this video I try and give you a brief understanding on how to program this unit. If you follow this guideline (with most other popular controllers as well) you will have successfully set your Retic Controller. A couple of things to watch our for through are; To make sure you only have ONE starting time. And that your watering days are correct for your residence in Perth, you don’t want to get caught watering on the wrong day. Trouble shooting – If your Retic System is coming on at all times of the day first you have to double check that that there is only one start time. As your Retic Controller has multiple programmes you will have to check all of those as well. For any other questions please fell free to give me a call. Knowing your sprinkler run times, have a look at the table below as a guide.